It’s a Fancy Vivid Pink diamond. It weighs 18.96 carats. It has a name: The Pink Legacy. And no, that's not in reference to a girlie bar. Although, come to think of it, many of the top-grade, rosy-hued diamonds have somewhat louche monikers: The Pink Promise. The Sweet Josephine. Which makes you wonder if the industry is run by lonesome men. But in all seriousness, the world of coloured diamonds – especially pink diamonds – is big business, and increasingly so. 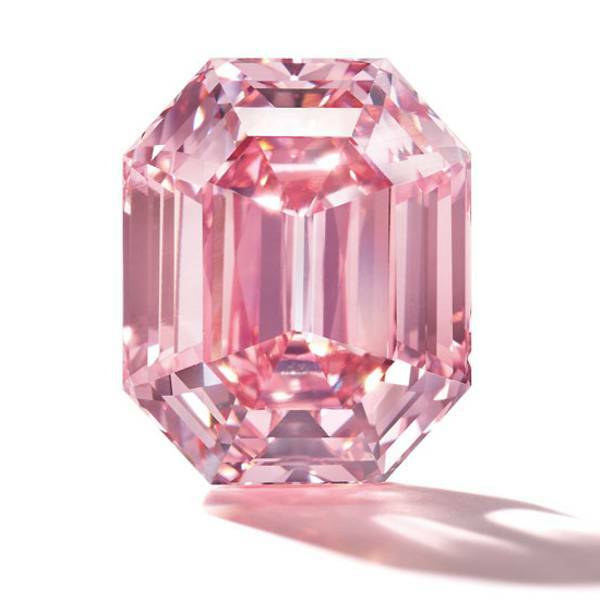 The Pink Legacy is expected to fetch between US$30 million and US$50 million (S$41.3 million to S$68.8 million) at Christie's Magnificent Jewels sale in Geneva next week. And that’s not even broaching the record price. In April 2017, The Pink Star, a massive 59.60-carat rock, sold for US$71.2 million at a Sotheby’s sale in Hong Kong, becoming the most expensive gem to ever be auctioned. 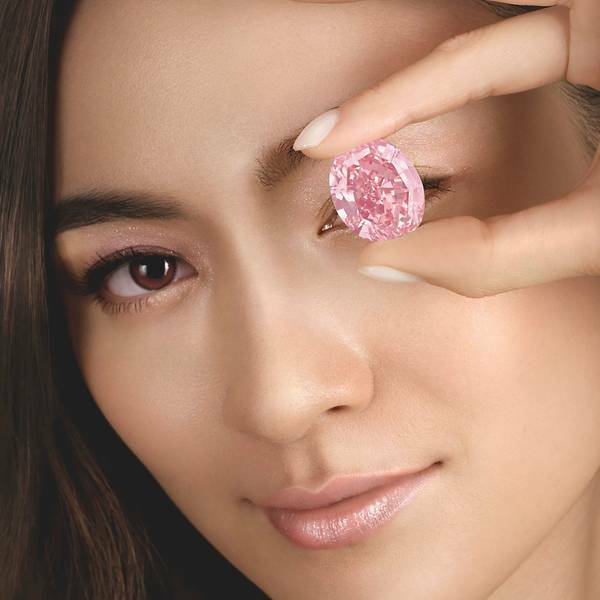 In Nov 2017, The Pink Promise sold for a lower absolute price at Christie’s Hong Kong – “only” US$32.5 million – but it achieved a world record price per carat for a pink diamond: US$2.175 million. Glajz added that he isn’t going as a buyer but as an observer. His company distributes pink diamonds, working directly with the Argyle Mine in Western Australia to procure the stones. The Mine, he explained, produces 90 per cent of the world’s pink diamonds. It’s the size of Singapore, but yields only 4,000 carats, or 800 grams, of pink diamonds annually. The weight is after polishing. “In terms of volume, that’s about the size of one papaya!” Glajz remarked, describing the stone’s rarity, and hence, its soaring value. According to Glajz, prices of pink diamonds “double every couple of years”. The Argyle Mine's announcement that it will cease operations in 2020 has only fuelled the global buying frenzy. 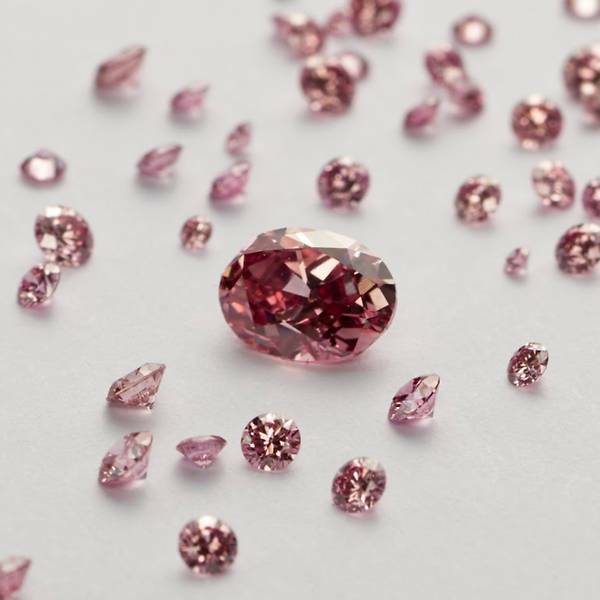 But Glajz noted that pink diamonds – as well as their coloured cousins, for that matter – aren’t for everyone. “It’s for the person who already has the white diamond,” he said. Saagar Mehta, Co-Founder and Director of Infiniti Jewels, echoed this sentiment. “Most women would like their first diamond to be white. But what about after that?” he said. Celebrities have no doubt contributed to the awareness of coloured diamonds. Jennifer Lopez owns an 8.5-carat blue diamond ring gifted by her ex-husband Marc Anthony. She also owned a 6.1-carat pink diamond ring given by Ben Affleck, but returned it earlier this year. Some years ago, Rihanna famously shone the spotlight on yellow diamonds in her single We Found Love. More recently, Michelle Yeoh and Lisa Lu were seen sporting yellow diamond brooches during the wedding scene in Crazy Rich Asians. Tiffany’s Yellow Diamonds collection is one of the brand’s pillars, anchored by the legendary Tiffany Diamond. The priceless 128.54-carat, cushion-shaped, brilliant-cut yellow diamond is prominently displayed in the brand’s Fifth Avenue flagship in New York. But before you run out to the nearest jeweller to make inquiries, it helps to know the fundamentals when it comes to coloured diamonds. The four Cs – cut, colour, clarity and carat – used to determine a white diamond’s value also apply to coloured diamonds. But for the latter, one of the Cs is more important than the other three: Colour. In fact, buyers are often willing to overlook the amount of inclusions in a coloured diamond. "I have clients who only buy D/E/F (colour) white diamonds of VVS clarity from me, but when it comes to coloured diamonds, they will consider SI. 70 to 80 per cent of coloured diamonds are actually SI quality and below," explained Mehta. According to the GIA (Gemological Institute of America), white diamonds decrease in value as their colour intensifies, but the opposite is true for coloured diamonds: Their values increase in tandem with the intensity of the colour. Red diamonds are the rarest of them all, followed by Blue and Pink; then Orange, Purple and Green; Yellow and Brown; and finally Grey and Black – the latter two have very little commercial value and are sometimes used in fashion or costume jewellery. The world’s largest known red diamond, a 5.11-carat trilliant cut stone, belongs to London-based jeweller Moussaieff, and is known as the Moussaieff Red. In 2008, the firm was reportedly offered US$35 million for the gem, but its owners turned it down, believing it would go up in price. Sheth belongs to the fourth generation of a diamond trading family that originally hailed from India. Among the family business’ most prized assets are a collection of green diamonds, amassed by Sheth’s father Rajesh over a decade. “[The mines] are still producing greens, so you can still get your hands on them. They’re going to grow in price, because a lot of people haven’t acquired them yet.” At the moment, said Sheth, Intense greens can fetch anything from US$300,000 to US$550,000 a carat, while Vivid greens can go for US$2.5 million a carat – rivalling Vivid pinks. But it gets tricky when the overtones come with the suffix “ish”, like Orangeish or Yellowish. “‘Ish’ means it’s a lighter colour. For example, Fancy Yellowish Orange is lighter than Fancy Yellow Orange. The yellow in the former is so light that it cannot be called a true yellow,” said Mehta. ARE COLOURED DIAMOND ENGAGEMENT RINGS AFFORDABLE? The short answer is both yes and no. According to Sheth, pink diamonds are too expensive. “Even a 1-carat Light Pink will cost you US$120,000 to US$150,000,” she said. However, there’s a silver lining. “A 1-carat Fancy Light Yellow diamond would be about S$13,000. It’s the same price as a 1-carat white diamond, E/F/G colour with VS or VVS clarity,” said Mehta. “I have seen people choose yellow for engagement rings, because they can go bigger for the same budget,” echoed Sheth. SHOULD YOU INVEST IN COLOURED DIAMONDS? Again, our experts concluded both yes and no. “I never like using the word ‘investment’,” offered Glajz. “If you buy (a coloured diamond) expecting a dividend in 12 months, don’t buy it. If you buy thinking it’s good to have and put away, and meanwhile enjoy it, and then one day your children or grandchildren will realise the value, maybe you’re on the right track. “It’s a store of value. It’s a tangible asset. Buy it because you like it. Buy it because it’s rare. And if you ever need money, it represents value,” he added. Sheth sang a similar tune. “The value also comes from the mineral itself. [Diamonds] have a hardness rating of 10 [on the Mohs scale]. Over time they’re not going to rot or devalue. If I drop a diamond, it’s not going to crack. I can throw it [against a wall] and it won’t crack. “Let’s say you put US$100,000 [on a stone]. 20 years later you pass it down to your daughter. The money is good in its place. That’s all I can say. It’s a form of security that you can pass down to your kids, as is, without any hassle of transfer,” she explained. But for those considering coloured diamonds as an alternative asset, the dealers had this to say. “When it comes to investments, only [coloured diamonds that are] 1-carat and above are considered [investment-grade]. Unless it’s blue or red, in which case below 1-carat will be considered,” said Mehta.